The Canadian pinao player with a new album. Superb sound. He covers a lot of ground, from boogies to New Orleans r&b, from laid-back funk to jazzy ballads. 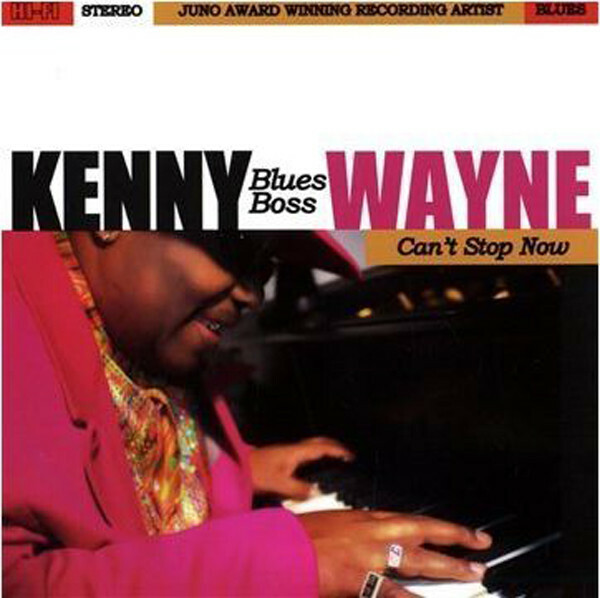 Backed by various STUDIO LINE-UPS: KENNY 'BLUES BOSS' WAYNE - piano/voc featuring BRANDON ISAAK - gtr, LINDSAY MITCHELL - gtr, JEFF HEALEY - gtr, etc. Customer evaluation for "Can't Stop Now"